A Farm Less Ordinary - Creating Jobs and a Community for People with Disabilities! Help us continue to grow during our kick-off year! 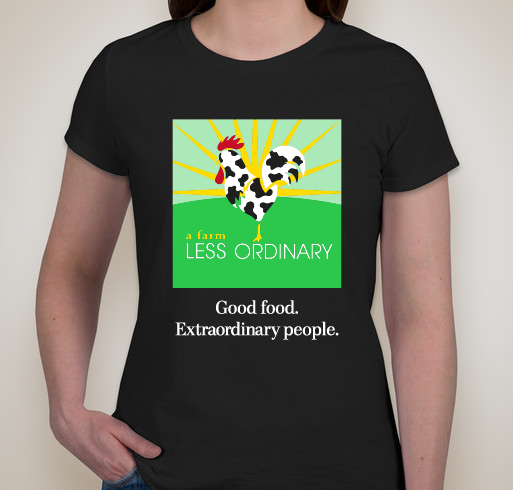 All funds raised will go directly to A Farm Less Ordinary . We have accomplished a lot so far, but we have so much more we want to do! After putting up our washing/packing shed and walk-in cooler in June, we plan to buy a tractor, which will allow us a greater degree of independence, the ability to use cover crops that help preserve soil health, and help us farm more land. We also have a greenhouse to finish building. But most importantly, we want to hire more people to help us grow and harvest our food - people with ntellectual isabilities ho ha have long lives ahead of them, and greatly reduced employment opportunities. A Farm Less Ordinary strives to give these people a place where they feel welcomed and valued, where they can contribute and earn a living. It's simple. 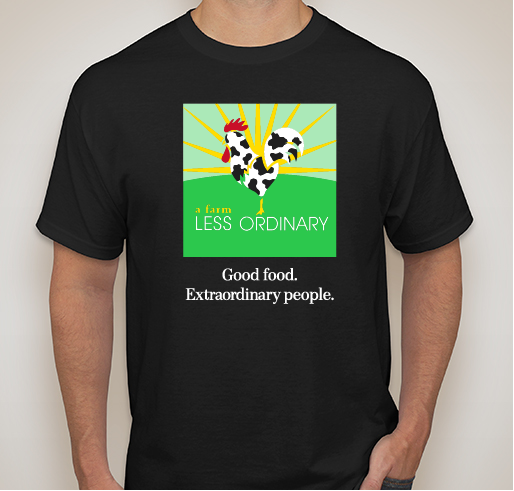 Buy a t-shirt, and help us change lives. Besides, our logo is pretty cool. We, Maya Wechsler & Greg Masucci, are parents of two small children (one of whom has non-verbal autism) with a dream. We know that one day, the bus will stop coming for our son. One day he, and other young adults with developmental disabilities, will face an extremely high unemployment rate and a dearth of interesting daytime activities to keep him occupied. We worry about how he wil spend his dys as anautistic adut—whether he will be doing something meaningful, in a safe place, with people who understand and care about him. So, instead of waiting for a solution to this problem to magically happen one day, we are going to make it happen today. 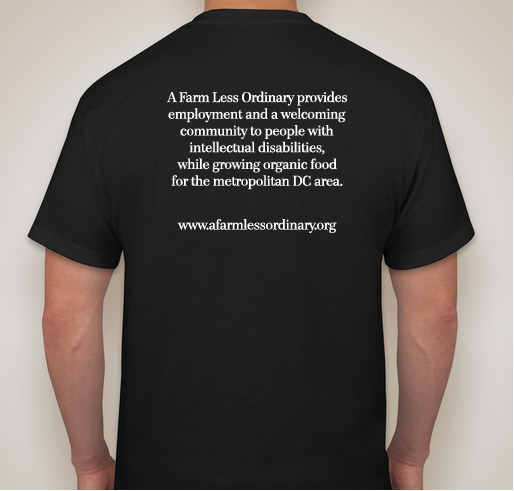 We are building a farm and a community where adults with special needs will learn real job skills, set and achieve goals, and perform work that results in a very tangible, useful outcome: organic produce. Moreover, our growers will find a welcoming community on our farm – A Farm Less Ordinary. Dreams without actions remain just that: dreams. We have taken the first steps to make our dream a reality. We bought 24 acres in rural Virginia, 65 miles west of our former lives in Washington, DC. We spent our first year figuring out how to grow organic vegetables. We took classes, read books, and asked everyone we could find for advice. We paid for the seeds, mulch, irrigation equipment, tools, deer fencing, tractor retals, as wel as numerous truckloads of gravel, organic compost, and lime, out of our own pockets, more or less doing everything by hand. It was a successful first year, and we gave away lots of beautiful vegetables. Now that we know what’s possible, we’re scaling up! We are doubling the size of our tilled fields and plantings this season. We are hiring our first growers this year - young adults with developmental disabilities. 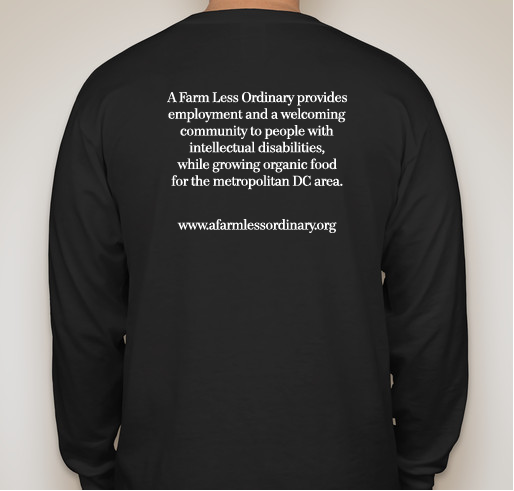 We have launched a small-scale, fee-based, Community Supported Agriculture (CSA) membership, delivering our organic produce to families in the DC area. We have assembled a talented Board of Directors with multiple areas of expertise to help guide our mission. We are proceeding thoughtfully to create a lasting organization for a population of adults who need only encouragement and a few simple accommodations in order tofind fair and meaningful employment. However, as our fields, staff, and distribution grow, our financial and material needs grow as well. Without external funding sources, we will not be able to take this farm to the next level and truly make a difference in the lives of families and individuals with developmental disabilities. We recently received our official non-profit 501(c)3 status (making all dontions to ourorganization tax deductible). 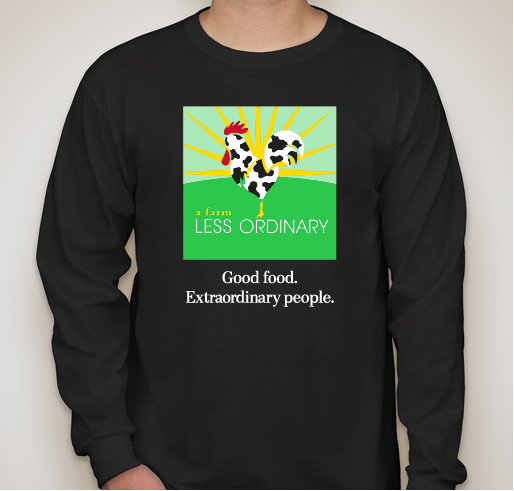 Please help us realize the dream by making a contribution to A Farm Less Ordinary. Help us build a better life for those with developmental disabilities and a better world for all of us. We applaud your courage and hard work! Max is lucky to have such great parents. 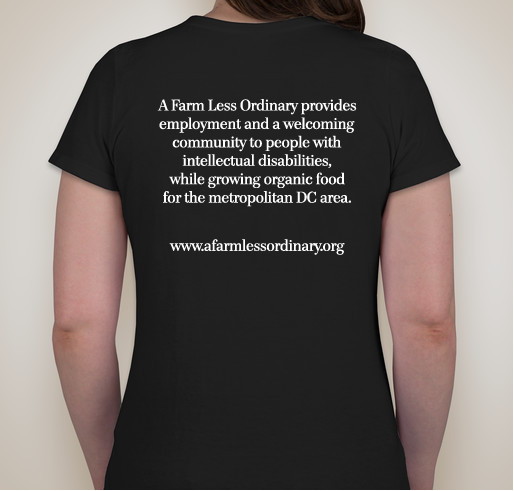 Share Why You Support "A Farm Less Ordinary - Creating Jobs and a Community for People with Disabilities!"